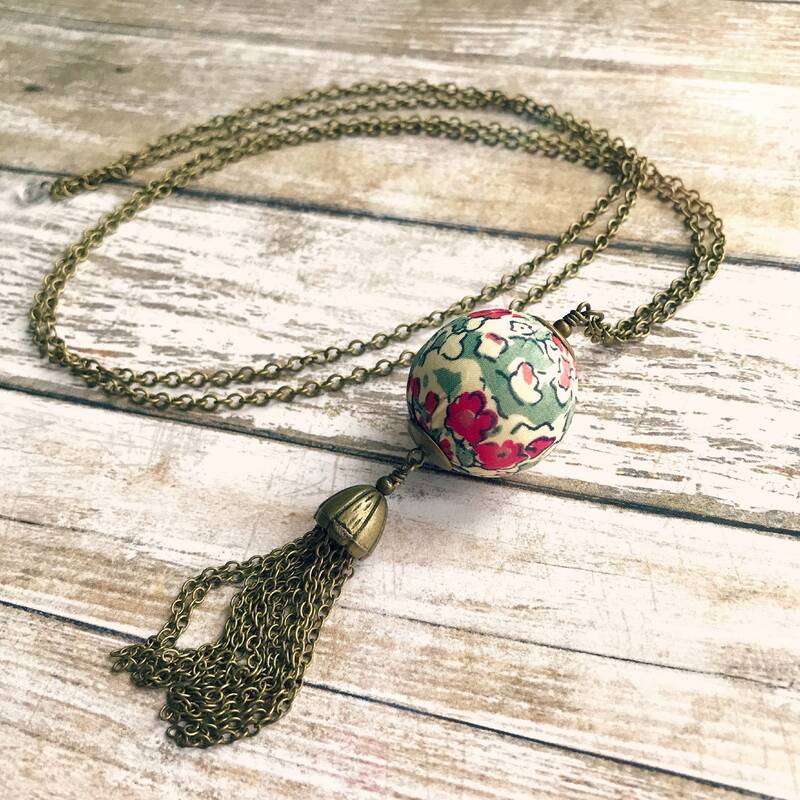 This lovely boho style necklace is made with a big wooden ball covered with a piece of gorgeous Liberty fabric, a thin antique brass chain and tassel. Includes a small transparent "Micho" signature charm for Marie Michaud Bijoux. 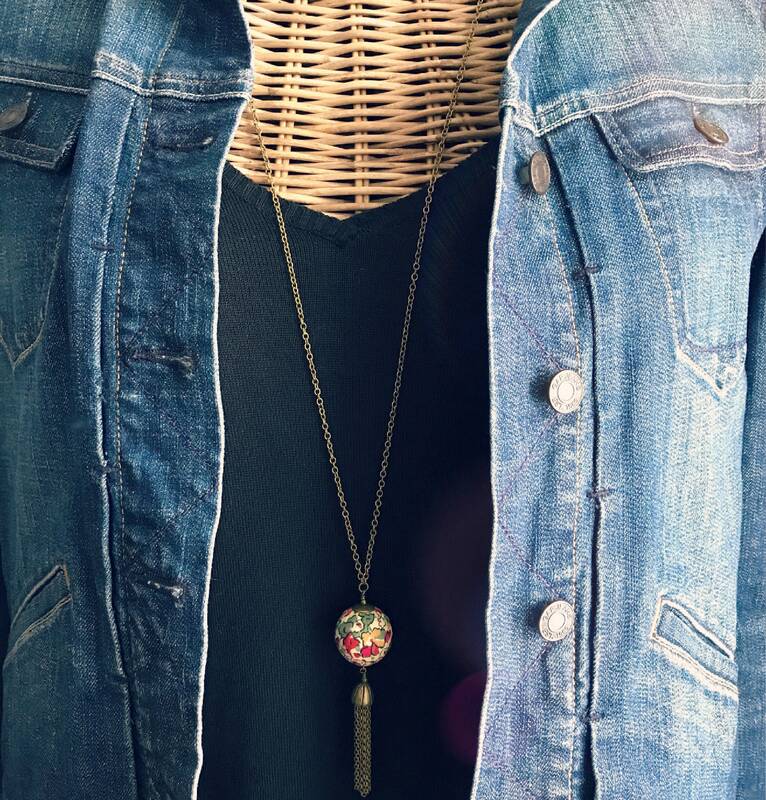 This necklace will look amazing all year long! It will be perfect on a warm sweater as well as a light summer dress. 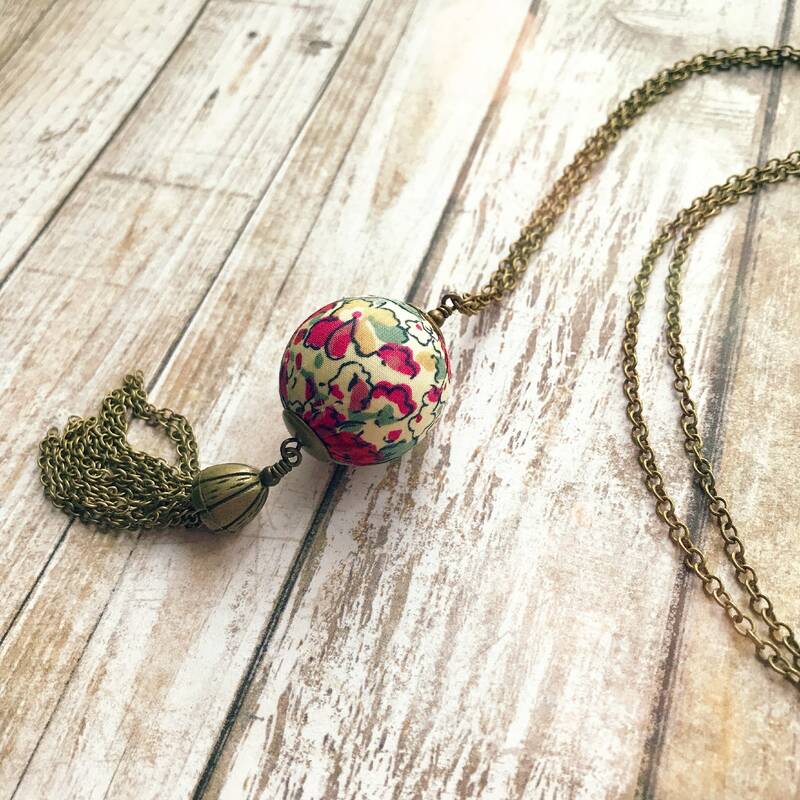 It will be a great gift for a woman or a teen who likes romantic boho jewelry! 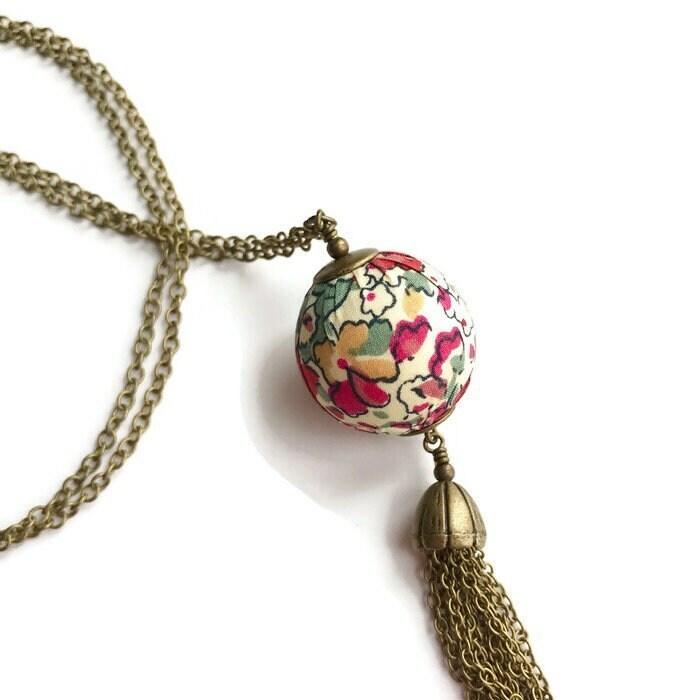 This textile beads is really lovely and made with my own special technique! 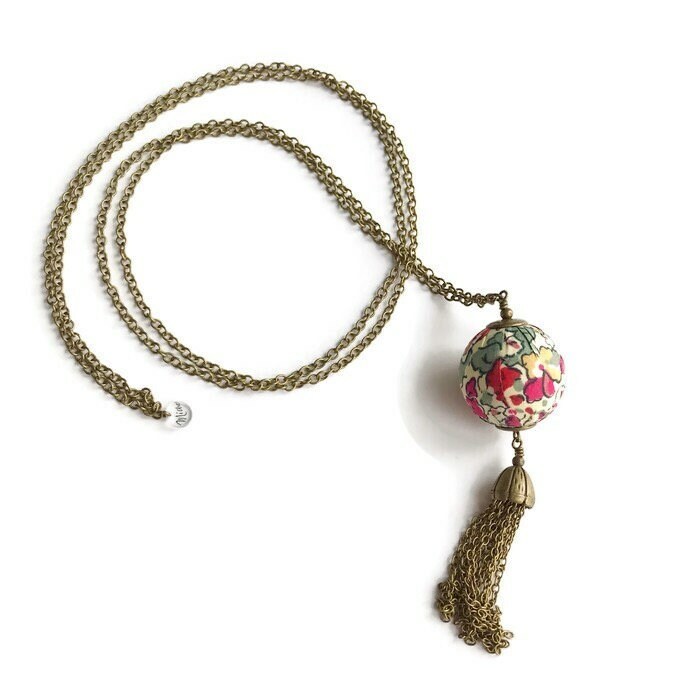 Please keep this special necklace away from water and household products. However, in case of a small stain, the textile beads can be cleaned with a soft wash cloth and a little soap and water. All my chains and components are brass. You won't risk allergies and the metal won't leave any stains on your skin. If you wish to clean the antique brass chain you may do so with soapy water and a soft cloth. The total length of the chain is: 99.5 cm or 39 inches.